Have you ever wanted to travel through time? To see big events in our history as they happened? 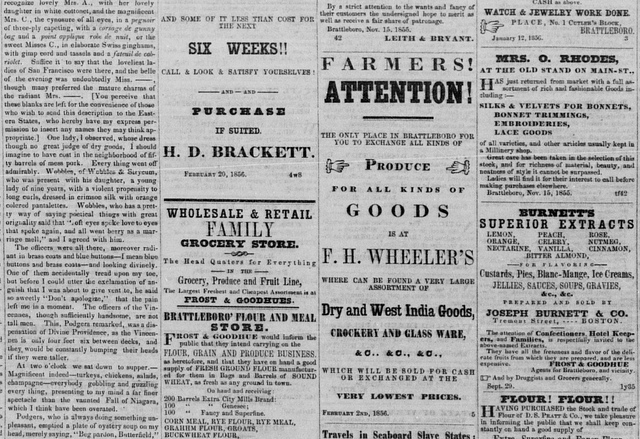 Unfortunately, no one seems to have invented a time machine yet (still), but you can still get a glimpse of the past using our new America’s Historical Newspapers database. The oldest available issue is from a newspaper called Publick Occurrences, a Boston publication. The issue was published nearly 324 years ago, on September 24, 1960. In the issue, a smallpox outbreak is reported, there is a house fire, Native Americans have a Day of Thanksgiving, and more. The archive covers newspapers through December 31, 1922, so many of the major events our our nation’s history, from Independence through World War I and the start of the Roaring Twenties, can be found.